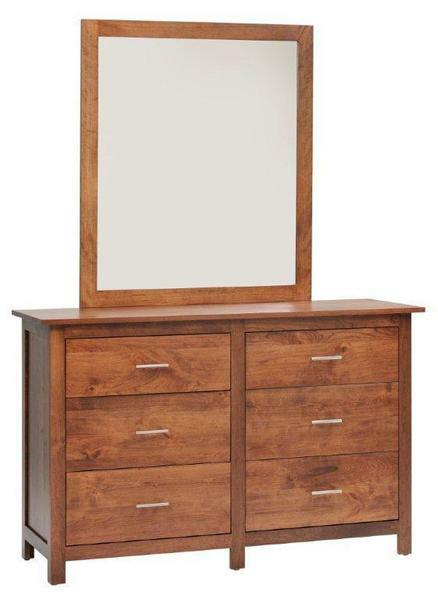 The smaller stature of our Ashton 56" Dresser makes it perfect for a room that demands a smaller storage solution. With six full-extension drawers, you're sure to have plenty of room for your clothes, while still maintaining floor space. With the addition of our matching Ashton Mirror and the soft-close under-mounted slides, you can complete this sleek design and ensure you get the most from your new dresser. Simple, with a design that emphasizes function and ease of use, our Ashton Bedroom Collection is a modern take on the timeless Shaker style. From the clean lines of the hardwood sides, to the flush mount drawers and large panels, the Ashton Collection will provide just the right mix of classic experience and contemporary flair to set off your bedroom decor!